Lifestyles® Luxe™ Lubricant is a premium, silicone-based personal lubricant that leaves skin feeling velvety smooth and has been proven to last longer than water-based lubricants. * Enhances your opportunity for adventurous intimacy as it still works in the bath, hot tub, shower or pool. Suitable for temporary relief of vaginal dryness. 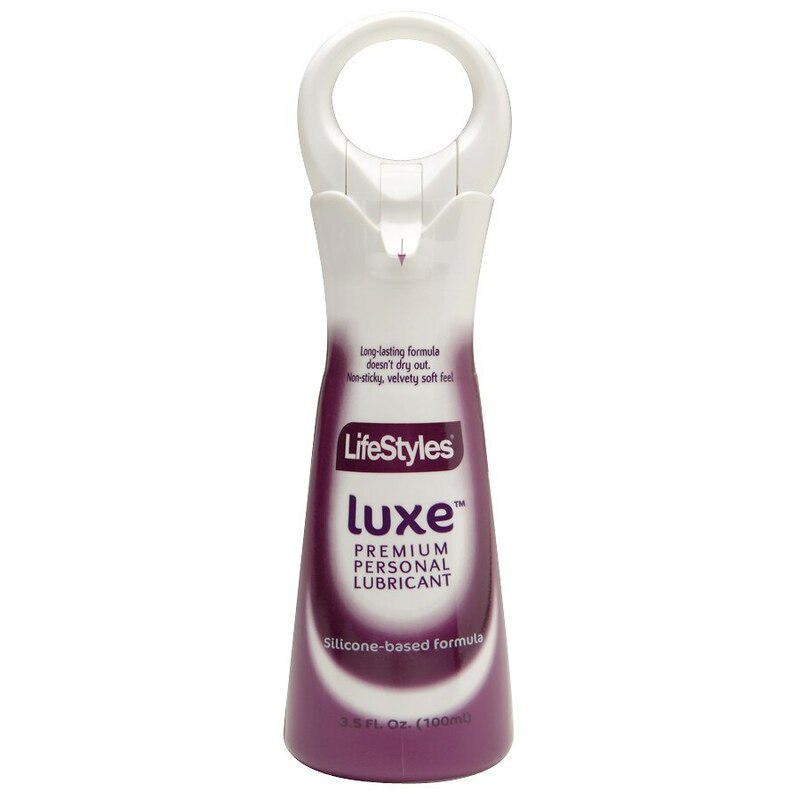 Lifestyles® Luxe™ Lubricant is a personal lubricant, for penile and / or vaginal application, intended to moisturize adn lubricate, to ehance the ease and comfort of intimate sexual activity and supplement the body's natural lubrication. This product is compatible with natural rubber latex, polyisoprene and polyurethane condoms. Please Note: Due to the nature of this product, we cannot accept returns or exchanges. Apply desired amount of lubricant to genital areas. Very slippery on surfaces, clean spills immediately. If discomfort or irritation occurs, discontinue use and consult your physician. This product is not a contraceptive and does not contain a spermicide. Do not use if tamper-evident band is broken or missing. Keep out of reach of children. This product is intended for use as a novelty product only. Any product use for medical purpose or for a use that has an adverse effect on any function of the body is prohibited. Sold as a novelty only.